Loyola Academy Students and faculty members face a difficult problem when the school day ends and everyone attempts to leave the parking lot. When the last bell rings, students sprint to the nearest exit and rush to their cars to be the first one out of the parking lot. 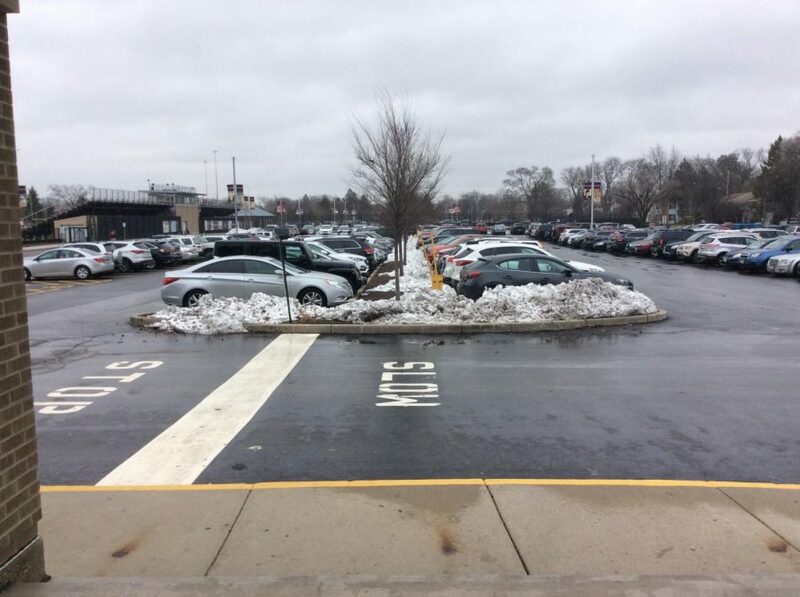 If the students are not the first cars out of the parking lot, then they could be stuck waiting for a long period of time before they can leave. This causes the students to drive aggressively when leaving the parking lot and have had some close call with pedestrians and other cars. The main issue is that many of the students who park in the lot take the highway on their way home. The short left arrow causes the majority of the chaos. Some of the cars that are waiting to turn left block cars that are oncoming and even cars that are trying to get to the light.